As leading spring suppliers, our work can take us to many places; we&apos;ve supplied a wide and diverse range of clients in different industries and arenas from telecoms to architectural engineering. However, you may not have expected to find our name listed at a horticultural show – yet there we were, at the RHS Flower Show Tatton Park. 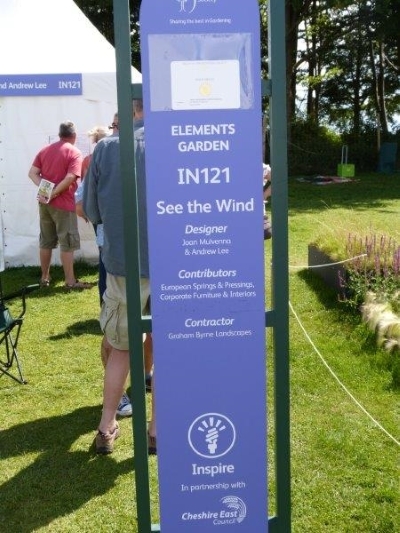 As you can see above, we here at European Springs were listed prominently as a contributor to the See The Wind garden, by Joan Mulvenna and Andrew Lee, which featured in this year&apos;s theme of Elements. You may be asking yourself how we could possibly be involved in a garden – after all, we certainly don&apos;t make flowers! The answer lies in one stunning feature of the See The Wind garden; a beautiful sculpture called the Wind Cloud. The Wind Cloud uses a three dimensional grid of identical tell-tales which move with the breeze, allowing the viewer to see the motion of the wind which would otherwise be invisible. In order to create the desired effect, the structure of the sculpture needed to be kept as lightweight as possible; becoming almost invisible so as to maintain the focus on the movement of the tell-tales. Sculptor Andrew Lee approached us for vital connection pieces which would allow the tell-tales to move freely with the breeze. We were very happy to assist, and created a lightweight wire staple to do the job. Here you can see the process in action (working at half speed for the sake of the video). Making wire staple for new Wind Cloud sculpture from Andrew Lee on Vimeo. Once our work was complete, we sent the parts to Andrew and waited with bated breath to see the results, and we were certainly impressed when we did. The shimmering, almost magical effect looks wonderful on video; it&apos;s quite spectacular in person. Wind Cloud Sculpture from Andrew Lee on Vimeo. 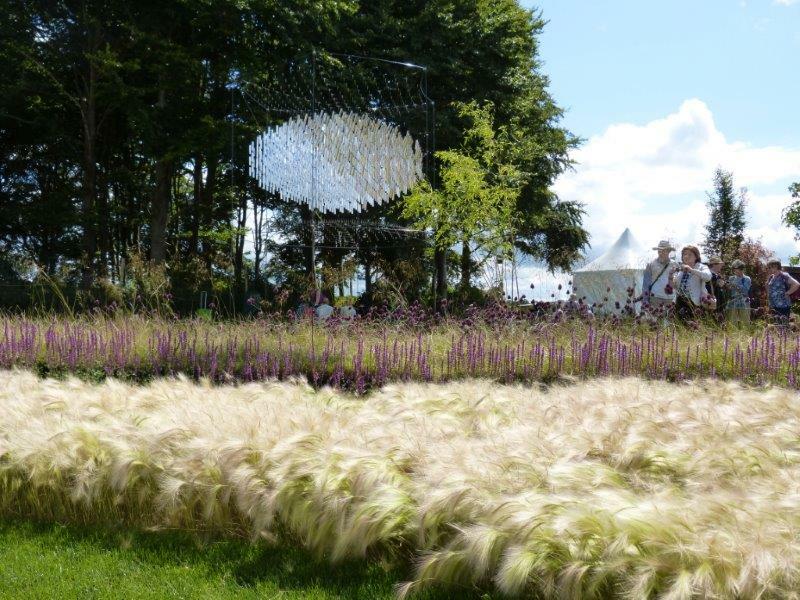 We were obviously not the only ones to think so, as See The Wind received a Gold medal and the award of Best Elements Garden, for which we offer Joan and Andrew our heartiest congratulations. If you have a requirement for springs, wire forms or pressings, whether it&apos;s a standard piece or something bespoke, we would be more than happy to discuss your requirements with you. For more information, call us on +44 (0) 208 663 1800 or email info.bec@europeansprings.com.